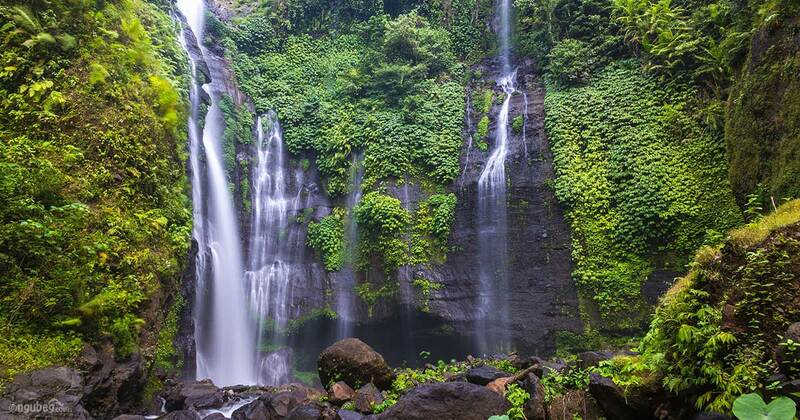 Some of the popular waterfalls in Bali, the Bali North or in the region of Buleleng like where waterfalls Gitgit, Yeh Mampeh, Munduk, Lemukih and Sekumpul waterfall which has a height of 100 meters, we are currently trying to dig up information. When traveling to North Bali, you might imagine the existence of dolphins in the attraction Lovina beach is usually packed in Dolphin tour, but now you can also explore the area with more leverage, which also visited one of the waterfalls are spectacular and quite hidden known as water Sekumpul fall. Pull or tourist attraction waterfall Sekumpul enough charm to attract tourists to come closer, even for direct contact mountain water. Its existence was known abroad, its location is quite hidden and access to waterfalls need for extra effort, thus creating a pleasant sensation trekking adventure travel. Before you get closer to the tourist spots, from a distance you can see a series of waterfalls, there are at least seven waterfalls, perfect as the name suggests Sekumpul, foreigners call it the Seven-point waterfall. The natural surroundings are still beautiful and natural, hilly landscape is combined with the beautiful waterfall, really become tourist charm that you must visit. To go to the waterfall tourist attraction Sekumpul from Denpasar city took 2.5 hours driving, the distance far enough, so that you feel more comfortable, can also rent a car in Bali with a driver, because the driver we provide is experienced and understand the travel map of the island Bali. From the set of waterfalls in this Sekumpul, the closest distance to the main road just two waterfalls alone. If five other waterfalls are located separately, it took extra effort again to get to the area that is ideal for nature lovers of adventure. Two waterfalls, height and water sources are different, the left comes from a natural spring, so it is always clear, although during the rainy season, while the waterfall to the left comes from tributaries in Sekumpul village so in the rainy season falls to the right will be brown or turbid. During the rainy season, the waterfall will have a different color of water, leaving the water becomes clear and clean because it comes from a spring located in the hill village of Sekumpul. While the right will plunge into murky brown color because of the water from the river in the village Sekumpul. 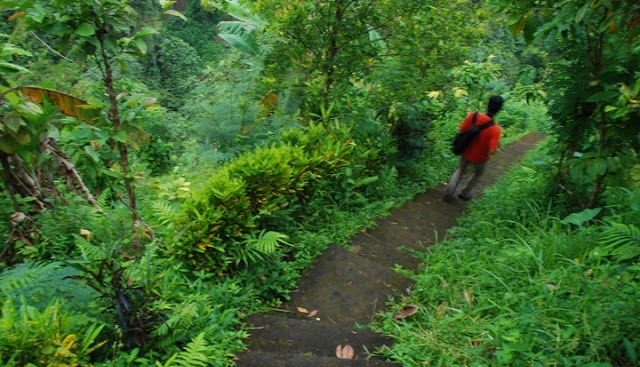 An access road to the waterfall, quite challenging, through the plantation population, escorted trail filled with a variety of fruit trees typical of the tropics, as well as houses that are still modest. In the course of the distance, you can see the sights like a rice field in Tegalalang, natural green mountains, and waterfalls Sekumpul. It takes stamina fit to lead two waterfalls, with hundreds down from the ladder and walkway about 300 meters, the road is quite steep and across the river, only then your business is finished, trekking you will find break even with treats charm Sekumpul spectacular waterfall, waterfall height up to 100 meters can treat fatigue. The atmosphere is quiet, comfortable and beautiful, guarantees you to linger. You can only achieve two waterfalls Sekumpul, then what about the five other waterfall, then you need extra effort to where it was, because of it further, maybe you need a guide/climbing guides into place, so the trip is not lost. waterfall tourist attraction is located in the village Sekumpul, District of Sawan, Kab. Buleleng. Distance from Singaraja city center is only 20 km, while from Denpasar within 76 km. 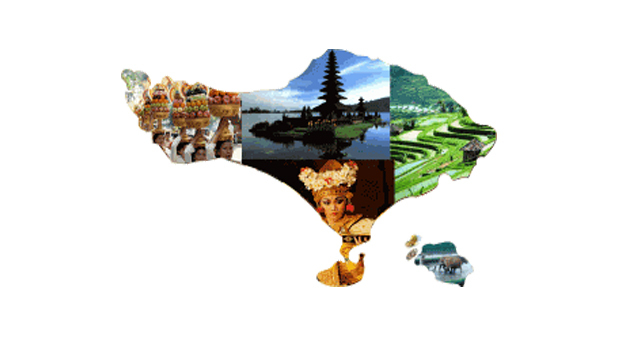 A tour route quite a lot if you're in the area South Bali like Kuta, Nusa Dua or Sanur. For that help, you find lodging in this area one of the inns you can rent Villa Manuk is Bebetin Village, District of Sawan, because the road to the tourist sites requires sufficient manpower and time. 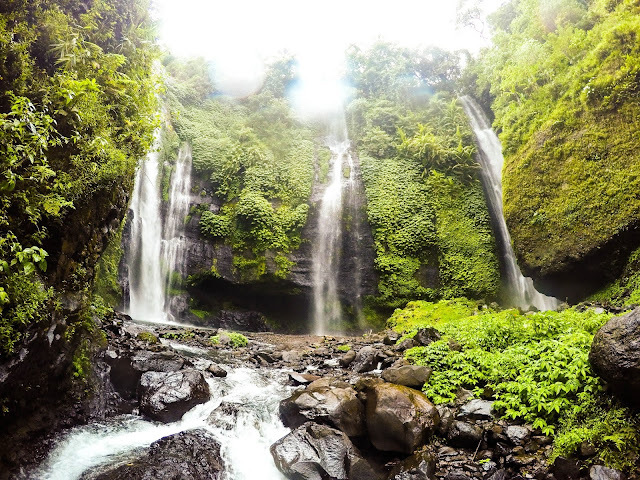 If you're not ready to take a trekking trip to the location where the Sekumpul waterfall, you can see the natural beauty from a distance, with views that can be presented also to take a photo prewedding here.